Students at Havana #126 will continue to study and learn using a web-based common core curriculum as well as numerous other support and intervention programs. The 2017-18 school year will be the 4th year of the district's 21st Century Learning transition. The staff have been trained on new teaching methods and techniques like: project based learning, infusing technology into the classroom, and building technology rich lessons for the past 4 years. Our initiative has continued to expand since the 2014-15 launch in grades 5-12. In year two teachers in 4th grade requested access to the new digital curriculum for math and reading. The following year, 3rd grade teachers asked for access to the new curriculum. The elementary grades have been using the existing computer labs to do their Math and Reading Instruction to this point. 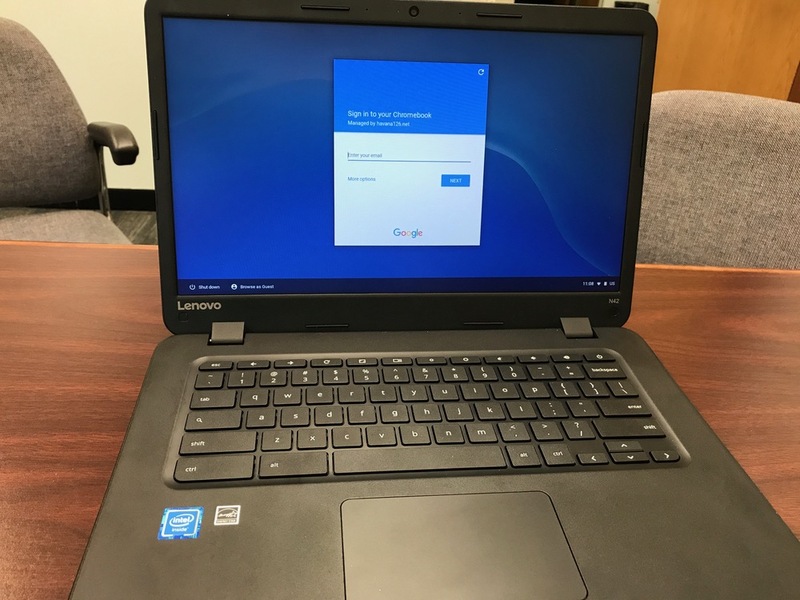 Chromebooks have been purchased for each classroom beginning in 2nd grade for the coming school year. These machines will be tools that are available to every child making every room a computer lab. It will provide teachers much more flexibility in their instruction knowing they can add a technology component in any subject at anytime without having to wait for computer lab availability. The devices at this level will not go home, but remain in the classrooms to used as a tool to access information and research as directed by the teachers. Only one computer lab remains at New Central Elementary for Kindergarten and 1st grades to use. Providing all of our students 2-12 with a device levels the playing field by giving students equal access to all curricular and other instructional resources regardless of their individual demographic and background. State tests are administered in this format as well as most college curriculum. It is our mission to make students responsible for their learning by doing and participating in their instruction because that is the future. The days of sitting and getting information thrown at you are gone. The future doesn't care about what you know, but what you can do with what you know. Stay tuned for all the amazing things our students will do this year!